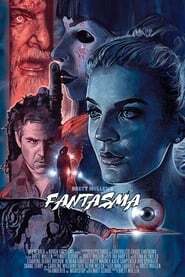 Fantasma 200×300 – FANTASMA Trailer Pays Homage to Argento’s SUSPIRIA & DEEP REDMatt Cloude & Brett Mullen’s Fantasma brings a homage to films like The Devil Has a Name Dario Argento’s Suspiria and Deep Red while captivating a 70’s style Italian gore as in Lucio Fulci films. And today we have the film’s trailer… which is still The Wrong Friend going under what I assume is it’s original title, Belladonna. Check it out below and then make sure to hit High Life us up and let us know what you think in the comments below or on Facebook, Twitter, and/or Instagram!